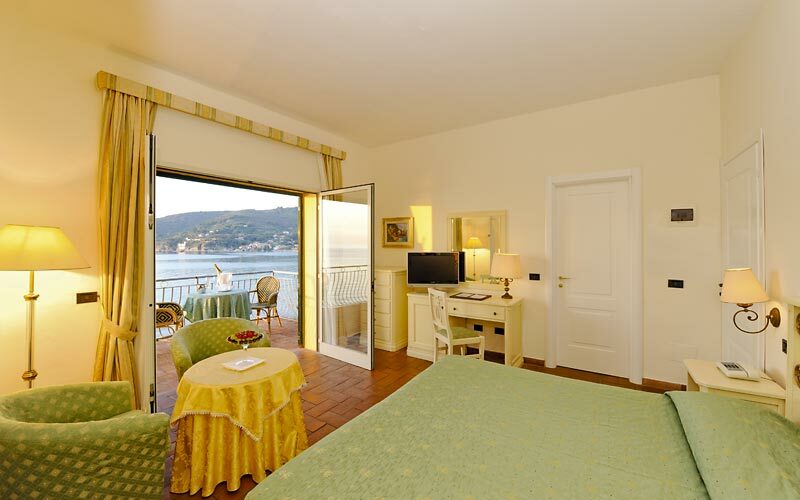 No ordinary Italian 5 star, Elba's Hotel Hermitage is a tiny piece of paradise, within steps of the island's golden beaches and the sea. 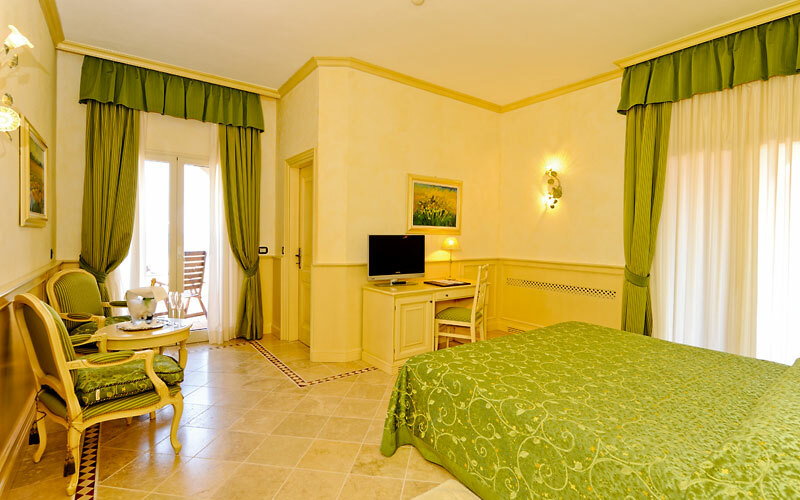 Located in the main building or in cottages in the garden, Hotel Hermitage's light-filled bedrooms and suites are furnished in classic Mediterranean style. From the windows of your room, you'll be treated to beautiful views of the sea or the hotel's gorgeous, subtropical gardens. On your honeymoon? 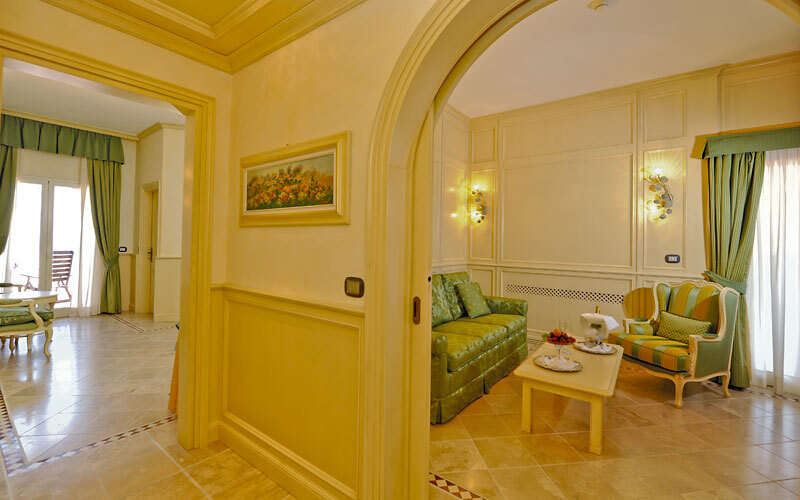 Book a junior suite or suite at Hotel Hermitage and get ready to relish the romance! 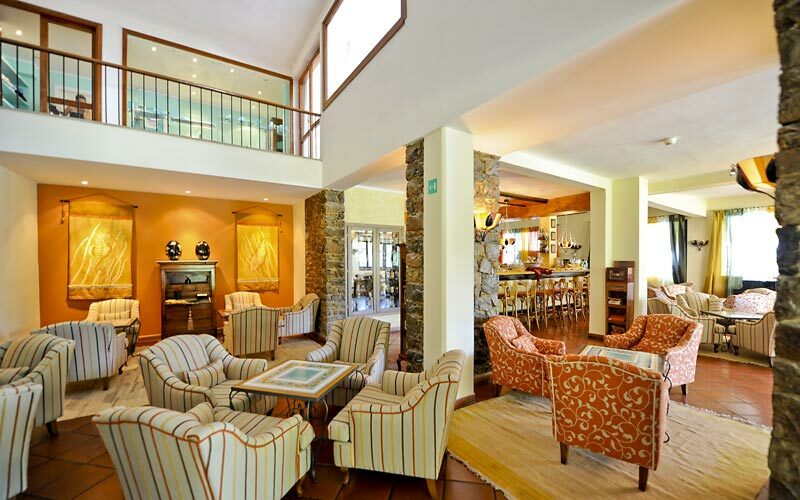 A great choice for a gourmet getaway, the hotel has not one, not two, but three excellent eateries. For traditional Italian cuisine and a fabulous selection of Tuscan wines, head to the "Hermitage". For typical island fare, "La Ghiotta" is the place to dine. On Saturday nights you can enjoy local fish dishes and live music at the hotel's "Il Fuoco di Bosco". The hotel's luxury spa, equipped with hydromassage pool and sauna, offers a vast range of massages and exclusive face and body treatments by Intégrée. 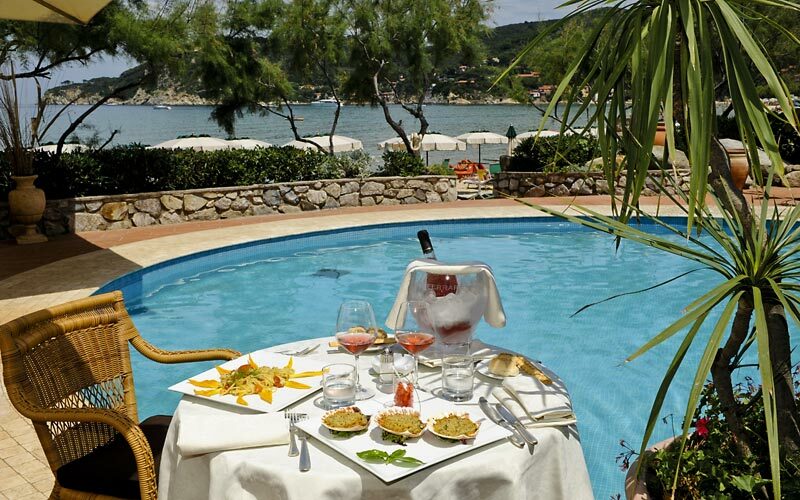 If you've always dreamed of a holiday by the sea surrounding Tuscany, you'll love Hotel Hermitage. During your stay, you'll be able to take windsurfing and sailing lessons, rent a boat, or join a cruise, sailing around the islets of the Tuscan archipelago. 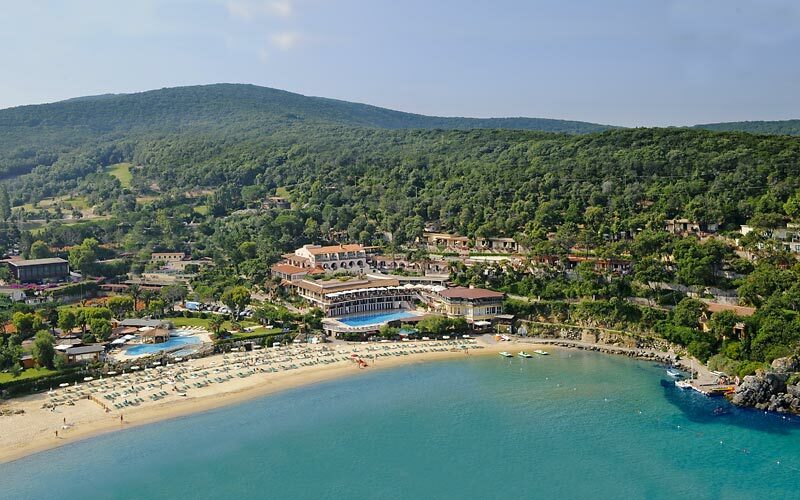 If that all sounds too much like hard work, don't worry: there's nothing to stop you from spending your whole holiday on the hotel's sun-drenched private beach - situated within steps of your room! 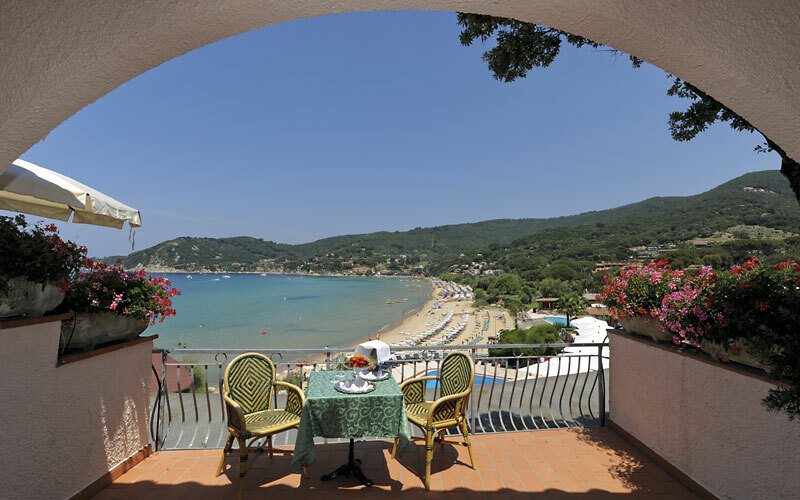 Breathtaking land and seascapes, romantic rooms and fabulous food: you'll be hard stretched to find a more idyllic location for that unforgettable Italian island wedding. Whilst on the island, make sure to visit the Villa dei Mulini, where none other than Napoleon used to hang out, the Linguella archeological museum and the Ancient Roman villa "delle Grotte".